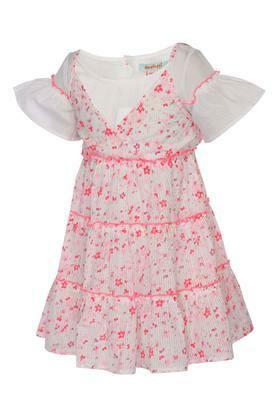 Let your daughter flaunt a stylish look by wearing this dress presented to you by Nauti Nati. Featuring a printed pattern, it also comes with a tiered hem that adds to its design. 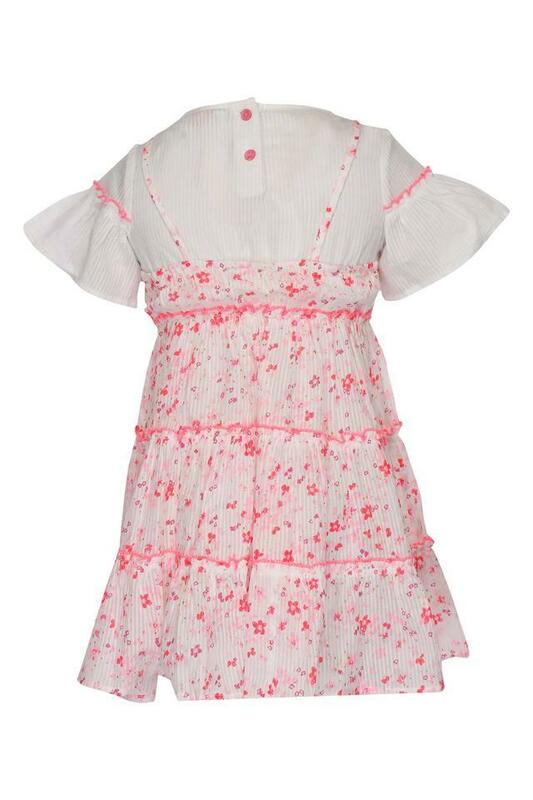 In addition, it has been crafted from a fine quality fabric, which will provide a soft touch against her skin. 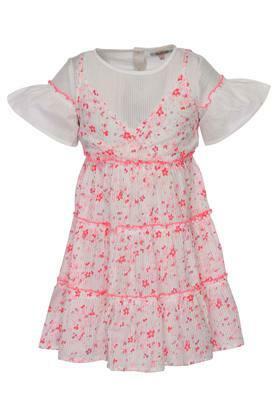 Featuring a printed pattern, this dress will be an ideal pick for your daughter to wear for any casual occasion. Let her team it with a pair of ballerinas and matching hair clips for an adorable look.